Where would the universe be without love? The fate of the Star Wars universe has been decided several times by the consequences of love for the better and for the worse. The forbidden love between Anakin Skywalker and Padmé Amidala sealed the doom of the decaying Galactic Republic. Anakin’s fear of losing Padmé led him on a quick and dark path that enabled Darth Sidious to complete his triumph over the Jedi Knights. But then again, it was his compassion for Luke that made Darth Vader break free from Darth Sidious’ oppression and allowed him to spend the last moments of his tragic life in the companionship of his son. Luckily, not all romantic relationships in the Star Wars galaxy had repercussions that made the entire universe tremble with fear. 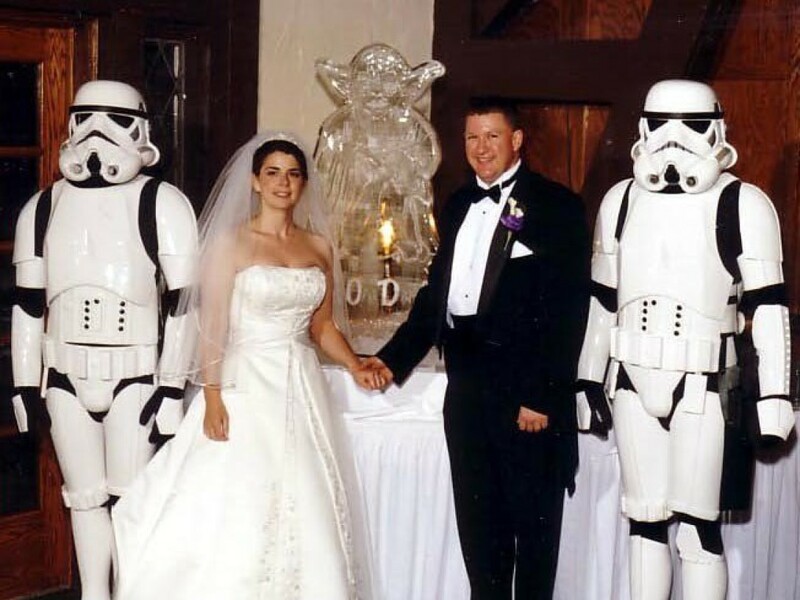 In this blog we’ll have a look at some of the more unusual couples from the Star Wars universe. 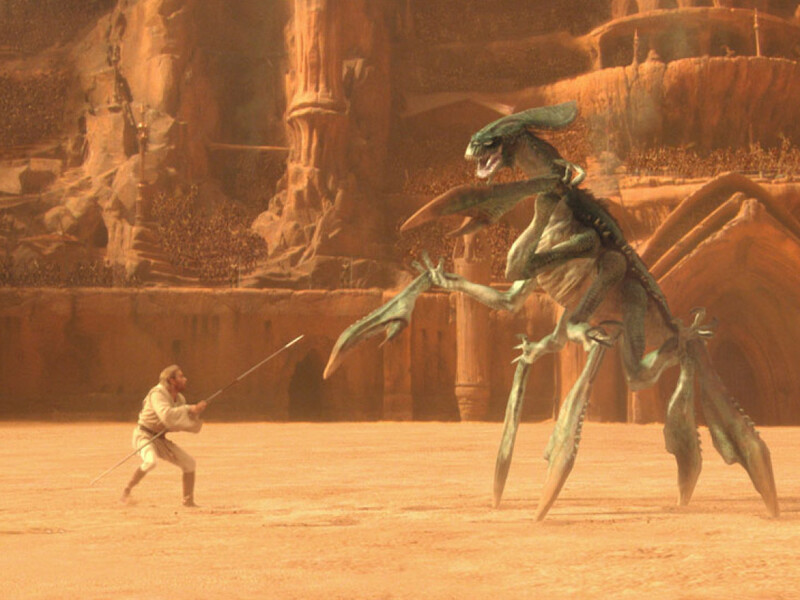 Some exotic couples from Star Wars had partners from different species. When their DNA was compatible, they could generate hybrid-offspring, though we haven’t seen many of them so far. The nearly extinct Theelin species were compatible with other species, since Shaliqua and Rystáll Sant were both hybrids. Two other hybrids were Shaeeah and Jekk, the children of the Twi’lek Suu Lawquane who lived on Saleucami during the Clone Wars. 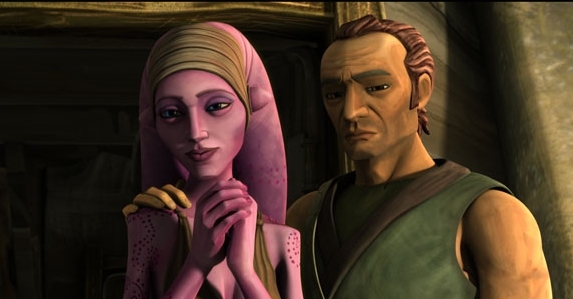 The father of her two children was most likely a human since both children showed human and Twi’lek characteristics. Eventually Suu met the clone deserter Cut, who became a new father for her kids. Not all unusual relationships happened between members of different species. When explorer and adventurer Mungo Baobab discovered the Roon System in 15 BBY he encountered Auren Yomm from the Umboo province. It didn’t take long for them to fall in love, though Auren was only 15 years old. But their love endured and they got married, probably sometimes reminiscing about two droids they called among their best friends. One human who certainly enjoyed the company of a beautiful female Twi’lek was Duke Teta. This noble visited the Coruscant Opera House at the end of the Clone Wars with his wife, Koyi Mateil. Although they were married, Mateil hoped that the old Duke would die soon so she could inherit his fortune. Two Podracers, who raced in the professional racing circuit during the last decades of the Galactic Republic, had their eyes set on Ann Gella, one of the Twi’lek yobanas of Sebulba. Both Mars Guo and Teemto Pagalies hoped to start a relationship with the Rutian Twi’lek, despite their totally different physiology. Teemto and Ann eventually had a relationship, but it didn’t work out and Ann left the Veknoid. Conversely, Twi’lek males were attracted to human females. Bib Fortuna surely seemed to be romantically interested in the beautiful singer and dancer Jess during his last days as Jabba’s majordomus at Jabba’s Palace on Tatooine. 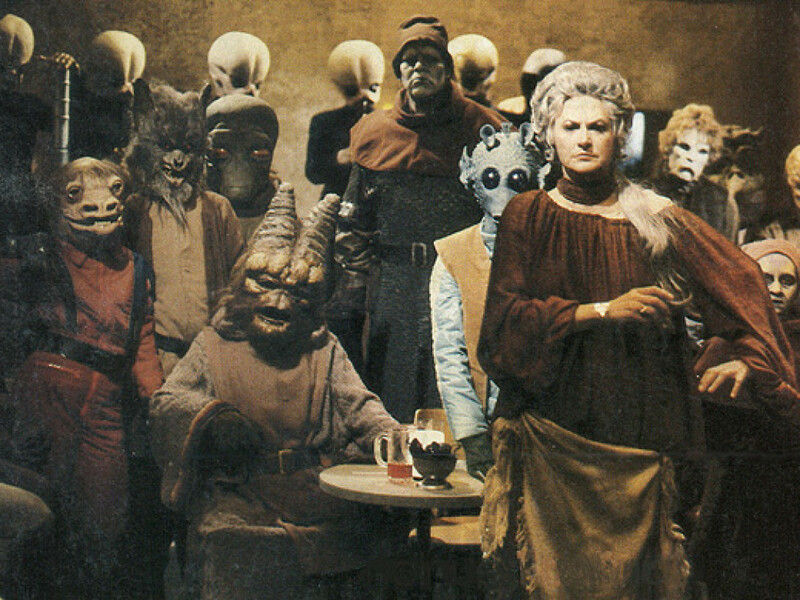 Cantinas, bars, and clubs are often visited by people who want to meet others, and it’s no different in the Star Wars universe. After losing his job, the Neimoidian Yee Moh found companionship with the Neimoidian sisters Ko and Rina Itub in the Outlander Club on Coruscant, right before the outbreak of the Clone Wars. 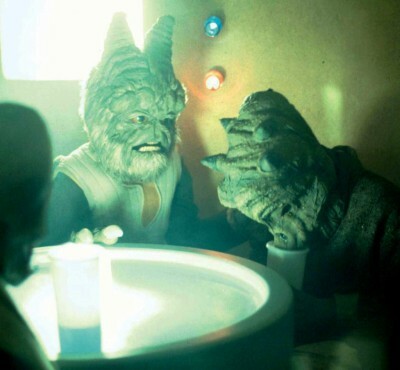 Despite its reputation as a rough place, the infamous Chalmun’s Cantina in Mos Eisley was no exception. 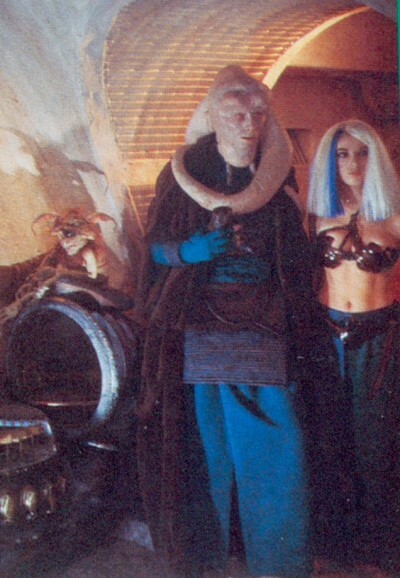 One highly unusual couple was Lak Savrik and Dice Ibegon. He was a Shistavanen Wolfman and a former Imperial scout who had befriended a colony of Rebel Alliance sympathizers. She was a Force sensitive, carnivorous Florn Lamproid who convinced Sivrak to join the Rebel Alliance. They both fell in love immediately. Dice passed away during the Battle of Hoth while Sivrak continued to fight for the Alliance until he met his demise during the Battle of Endor as an X-wing pilot. Another couple that wasn’t meant to be happy was Feltipern Trevagg and M’iiyoom Onith. Trevagg was a Gotal tax collector and a bounty hunter at Mos Eisley who became mesmerized by the appearance of the naive female H’nemthe called M’iiyoom Onith. Despite warnings from one of his colleagues, Trevagg took Onith to Chalmun’s Cantina before heading to his home. The Gotal was found butchered by love the next day. What Trevagg didn’t know was that female H’nemthe women devour their mate. Onith, nicknamed Nightlily, returned to her home planet where she became a celebrity because she mated with a non-H’nemthe. Not all relationships that started in the fringe society ended up badly. When her husband was dropped into Jabba’s rancor pit and her children were sold into slavery, the future was looking grim for the Askajian Yarna D’al Gargan. Yarna performed as a dancer in Jabba’s throne room, but when word reached the palace that Jabba had died at the Pit of Carkoon, Yarna’s life changed. Yarna got rescued by the Geran Doallyn from the Anzati Dannik Jerriko who tried to drink her “soup”. Both Yarna and Doallyn escaped the palace and crossed the Dune Sea where they encountered a Krayt Dragon. Sergeant Doallyn was an expert hunter who managed to kill the vicious creature. The precious Dragon Pearls Doallyn found in the creature’s stomach enabled Yarna to release her children from slavery. Yarna and Doallyn lived happily together and she even danced at the wedding of Han Solo and Leia Organa. Nrin Vakil, a Quarren pilot of Rogue Squadron during the New Republic, certainly liked non-Quarren females. Vakil was on the verge of beginning a relationship with his fellow pilot, the Mon Calamari Ibtisam. This was a unique situation since both species endured a traditional uneasiness and hostility towards each other. Naturally, they clashed in the beginning, but respect evolved into love. Ibtisam was killed near Ciutric IV, but the news of her relationship with Vakil promoted relationships between both species. 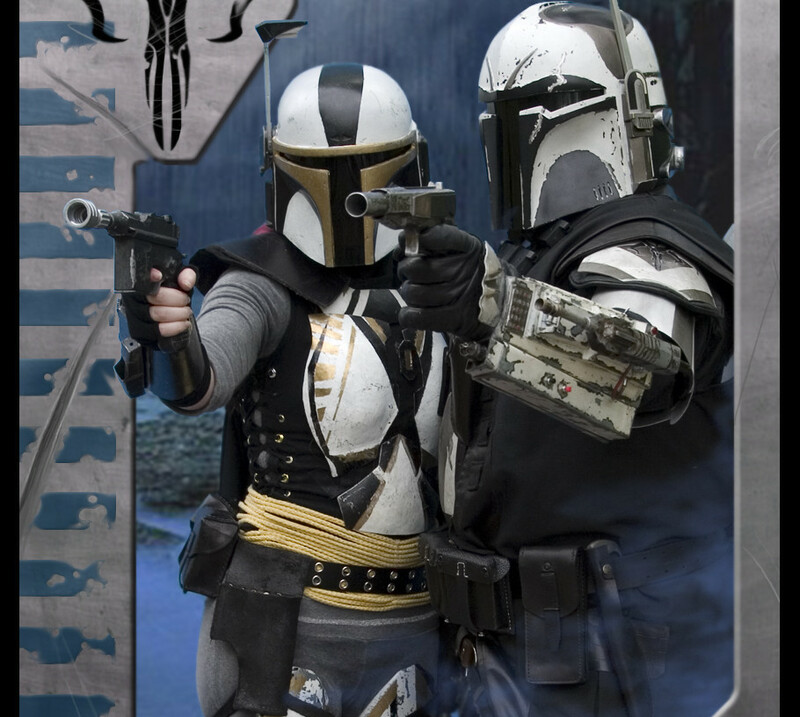 One day, Vakil married Koyi Komad, a Twi’lek mechanic of Rogue Squadron. 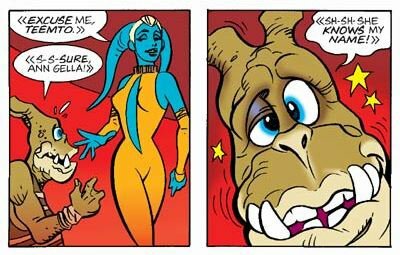 One of the most entertaining inter-species relationships certainly must have been the one between Hondo Ohnaka and Aurra Sing. The Weequay pirate captain mentioned their past relationship when Sing came to visit his base on Florrum after she and her fellow bounty hunters had kidnapped Admiral Shoan Kilian and a clone officer. Whether they truly had something going on or whether Hondo was boasting, we might never know for sure. 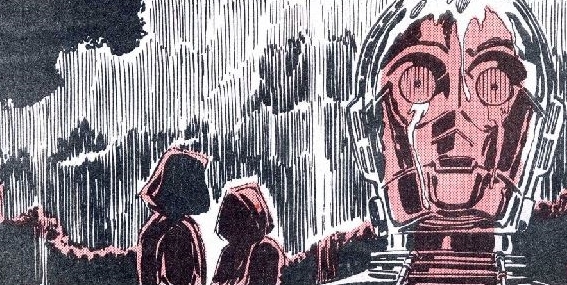 Even C-3PO once seemed to possess feelings for a female droid. The elegant LE-914 was an LE Manifest Droid and the droid of the missing Rebel pilot Tay Vanis. 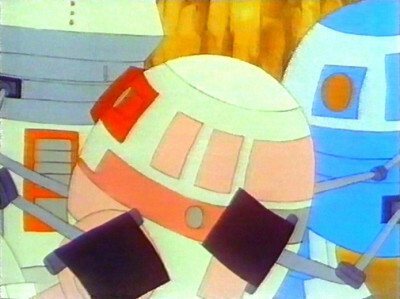 Vanis had acquired information regarding the Death Star II plans, but he had been captured by Darth Vader and used as bait to trap Luke Skywalker. Luke, Leia, and C-3PO found Vanis on a jungle planet where LE-914 worked undercover as an Imperial droid. She provided the heroes with the plans Vanis stole and self-destructed, along with her master who had been destroyed by Imperial torture. The explosion also destroyed the entire Imperial facility. When the heroes left, it looked like C-3PO shed a tear for LE-914’s destruction, though the protocol droid would probably explain that it was the rain causing his photoreceptors to malfunction. The most unusual love affair that involved a droid must have been the relation between Elise Montagne, an inhabitant of Dantooine during the Jedi Civil War, and her droid C8-42-GE3. After her husband died, Elise developed a strange affection for her husband’s protocol droid. The droid didn’t like the situation at all and ran away from the homestead. Elise managed to enlist the help of none other than Revan to find her “companion.” The droid, however, asked to be destroyed. 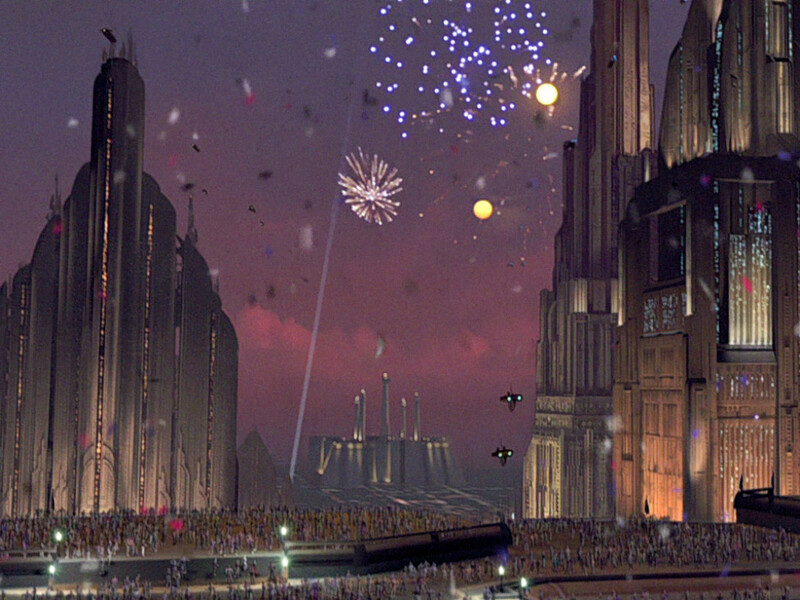 After relaying the news to Elise, she fled to the Jedi Enclave. It was there she met a new love interest, a man name Samnt. Even though emotional attachment was forbidden by the Jedi Order, some argued that compassion (which was encouraged) also included love, making it essential to a Jedi’s life. And although relations would never work out, they were not completely absent. 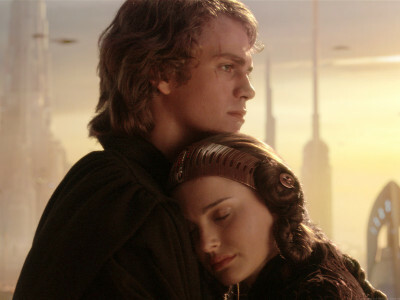 We all know the story of Anakin and Padmé, but Anakin was hardly the only Jedi to develop an affection. The Noorian Jedi Master Tahl was a close friend of Qui-Gon Jinn, and eventually fell in love with him. 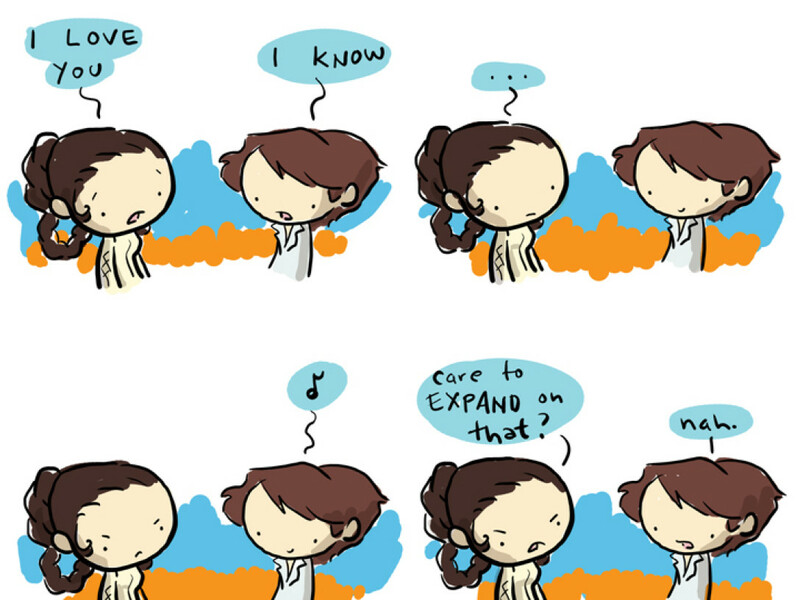 They would maintain a very close relationship throughout their years as Jedi Knights. Eventually, during a mission on New Apsolon, Tahl went missing. 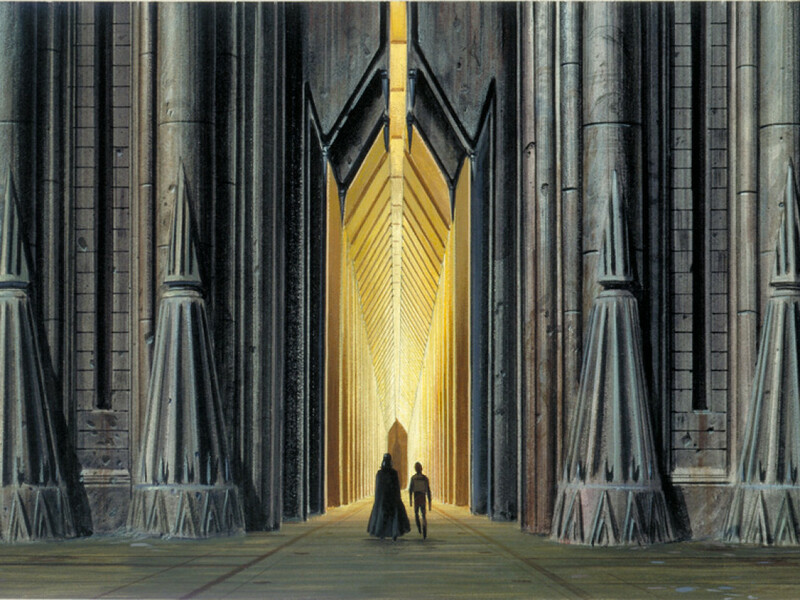 Qui-Gon set out to find her, despite having been told by the Jedi Council not to. After finding her and completing the mission, Tahl and Qui-Gon expressed their feeling for each other. She was soon captured however, and passed away after being fatally injured. 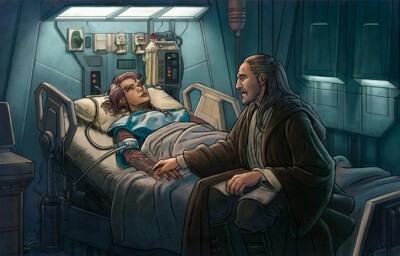 Her death nearly drove Qui-Gon to the dark side, demonstrating the danger the Jedi Order saw in emotional attachments. It was Tahl who stopped him from killing in revenge, by reaching out from the afterlife with a warning. Maybe Obi-Wan Kenobi learned from example, as he was once romantically involved with fellow Jedi, Siri Tachi. 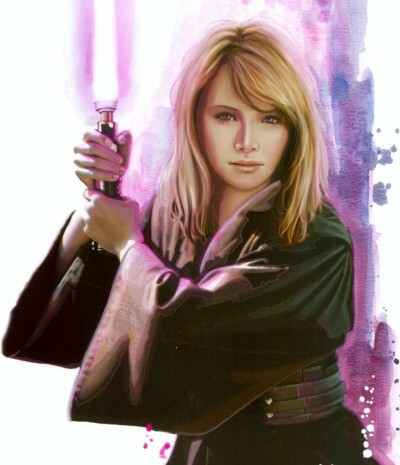 She learned to be more patient after being rescued by Obi-Wan from bounty hunter Ona Nobis during a mission on Sorrus. After that, Obi-Wan and Siri discovered that they were more than just childhood friends, but they always put their missions before those feelings. It was not until they found themselves on a ship rigged to explode that they truly acknowledged their feelings for one another. However, a discussion with Qui-Gon and Yoda about the costs of Qui-Gon’s love for the late Tahl made Obi-Wan and Siri promise never to speak of their love again. They drifted apart and Obi-Wan later developed a close relationship with Duchess Satine Kryze. He was now a Jedi Master, so he knew better than to risk all for a true relation, but upon her death at the hands of Darth Maul, Satine expressed her eternal love for Obi-Wan. Other Jedi found love and companionship in many different ways. Djinn Altis and his fellow Jedi split from the Order over a conflict over emotional attachments. Neti Jedi Master T’ra Saa fell in love with fellow Jedi Master Tholme, with whom she was able to survive Order 66. Quinlan Vos found love with the Separatist agent Khaleen Hentz. Aayla Secura became close to Kit Fisto. Etain Tur-Mukan had her clone trooper Darman. Even former Sith apprentice Starkiller had his Imperial-turned-Rebel Juno Eclipse. After the fall of the Jedi Order and the Galactic Republic, the strict views of the Jedi Council were no longer in place. Jedi fled to all corners of the galaxy, hiding away. They set up new lives as regular citizens to avoid detection. And what regular citizen did not love? It could even be the way to keep the Jedi alive, by raising children who might one day grow up to form a new Jedi Order. And when that New Jedi Order finally rose from the ashes, Luke Skywalker realized that love was not a bad thing, and allowed his fellow Jedi to love, marry, and have children, just like he did himself. 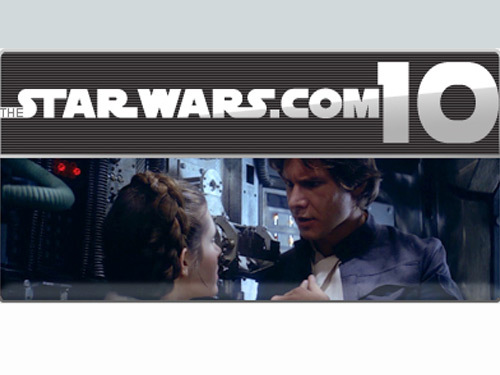 – Star Wars Insider 129 – Blood-feud: Warriors of the Deep! Tim Veekhoven (Sompeetalay) from Belgium does research for and takes care of the Rogues Gallery feature in Star Wars Insider under the supervision of Leland Chee. He’s president and co founder of TeeKay-421, the Belgian Star Wars Fanclub, he’s an administrator for Yodapedia, and has written the backstories for Swilla Corey, Tzizvvt, Wam Lufba, and Maxiron Agolerga. Kevin Beentjes (Wild Whiphid) is a molecular biologist working at the Dutch natural history museum. He’s currently involved in the creation of the Rogues Gallery feature in Star Wars Insider, is an editor for TeeKay-421, an administrator for Yodapedia, and fascinated with the myriad of alien life forms, in that galaxy far, far away.